On January 22, the Guarini Institute for Public Affairs held a seminar to discuss current issues of relevance with members of the Institute, and guests. The Library of America published the second volume in their two-volume set of The Collected Works of Carson McCullers, edited by JCU Professor Carlos Dews. Communications Professor Donatella Della Ratta is an expert in Arabic-speaking media who started teaching at JCU this Spring 2017. 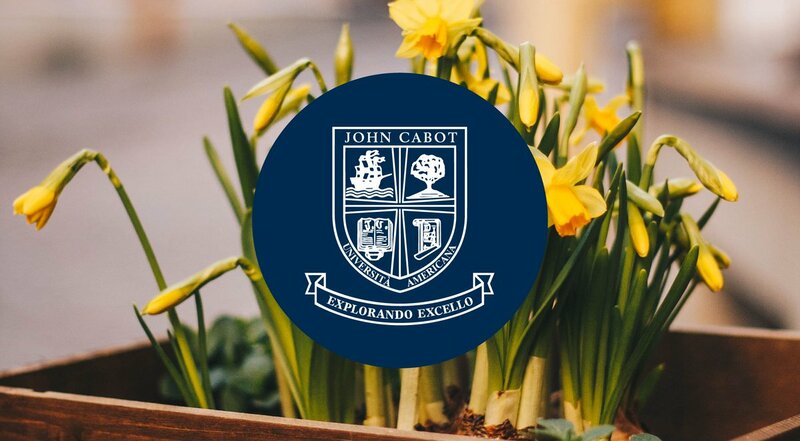 John Cabot University is pleased to invite students, parents, teachers, and counselors to our Open Day on Friday, February 17, from 10:00 a.m. to 5:00 p.m. at John Cabot University's Tiber Campus on Lungotevere Raffaello Sanzio 12. The Guarini Institute for Public Affairs and the Lithuanian Community of Rome organized an event to commemorate the 26th anniversary of the "January Events"
John Cabot University’s English Language for University Studies (ENLUS) Program is pleased to announce that it will be offering ENLUS II beginning on Monday, May 22rd and ending on Saturday, July 22nd. JCU Professor Lila Yawn recently published an article in the journal California Italian Studies titled "Culiseo: the Roman Colosseum in Early Modern Jest." On Saturday, January 21 JCU Alumna Marianna Occhiuto (Class of 2012) will participate as speaker in the Women's March in Rome. Professor Sorgner Gives Talk for “Question of Will” Art Project. On December 16, 2016, John Cabot University’s Philosophy Professor Stefan Sorgner gave a talk on “Posthuman Perspectives” for the “Question of Will” art project. Every semester John Cabot University’s Center for Career Services (CCS) hosts two Career Fairs. This semester 40 company representatives will come to interview interested students and graduates. As you may have felt, an earthquake of about 5.3 magnitude struck central Italy at about 10:30 am today between the cities of Rieti and l’Aquila (approximately 160 km/100 miles from Rome). Leonardo Quattrucci, John Cabot University Class of 2013, is the only young Italian participating in the World Economic Forum in Davos-Klosters from January 17-20, 2017.